Located on a corner plot, this house is designed around a courtyard creating a sense of privacy, which otherwise a corner plot would not offer. 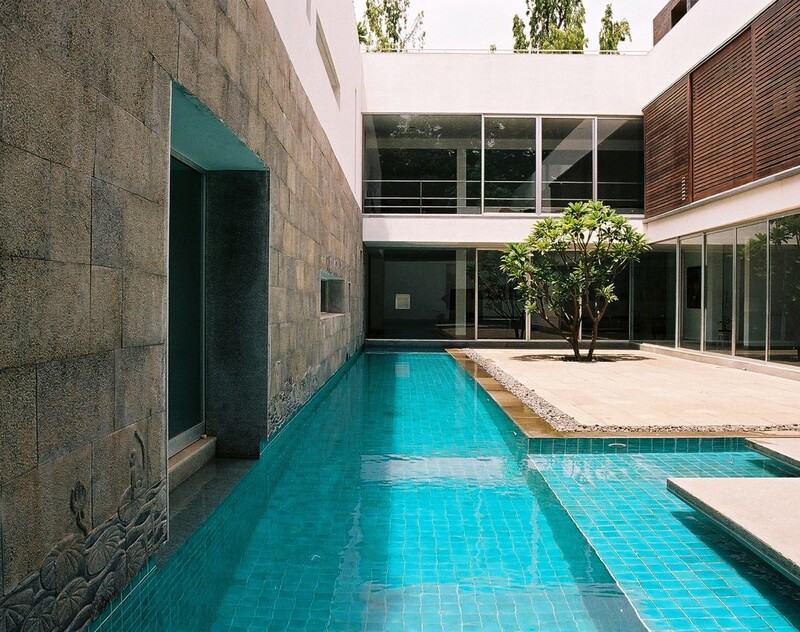 The courtyard is designed to contain a lap pool, which penetrates through the house and culminates into a performance area at the end of the court. 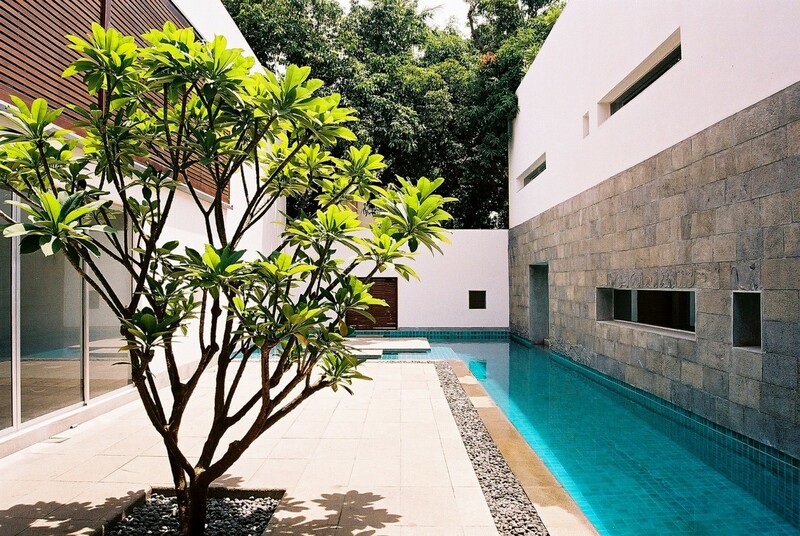 The client is a curator of an alternate Dance festival in Chennai and so the spaces around the courtyard are extremely transparent, creating a blur between the inside and outside as well as allowing the house to be transformed into a performance space when required. 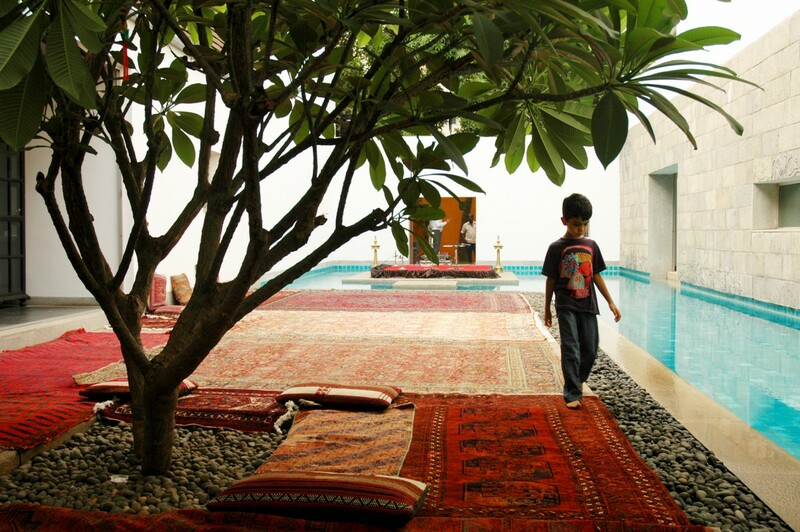 The terrace is designed as a landscape comprising of an amphitheater, a garden, a lotus pond and a meditation space. 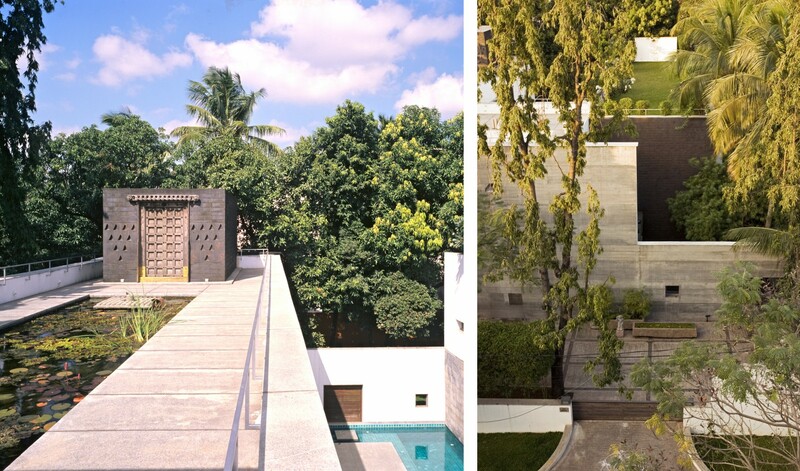 The rear setbacks on the property are walled to create a secret garden to house the client’s collection of antique architectural elements. A rich palette of materials is employed on the exterior of the house offsetting the austere quality of its internal space.